We’ve been making it a point to eat more vegetables lately and since it’s just the two of us, we often have leftovers. 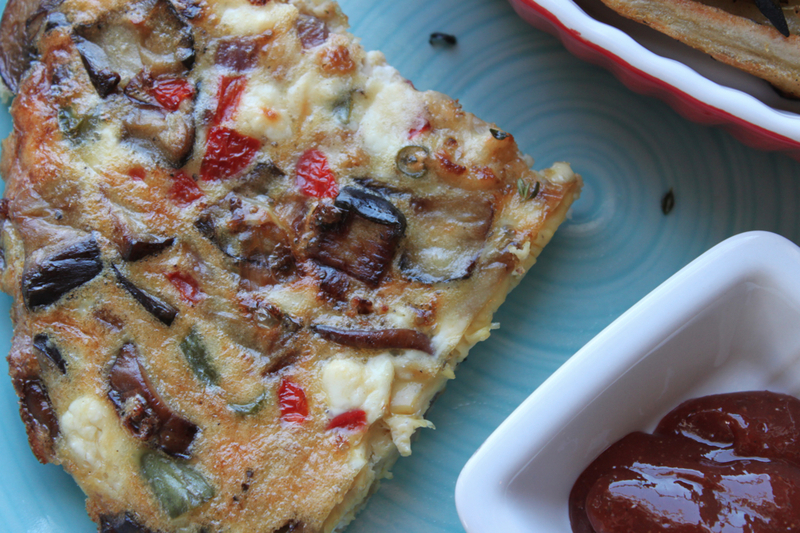 I decided to get creative with all of our leftover veggies and I made a variation on this frittata using eggplant, green beans, roasted cauliflower, mushrooms, tofu, red bell pepper, onion and crumbled feta. I sprinkled dried herbs over a sliced, peeled russet potato and tossed it with olive oil and salt. 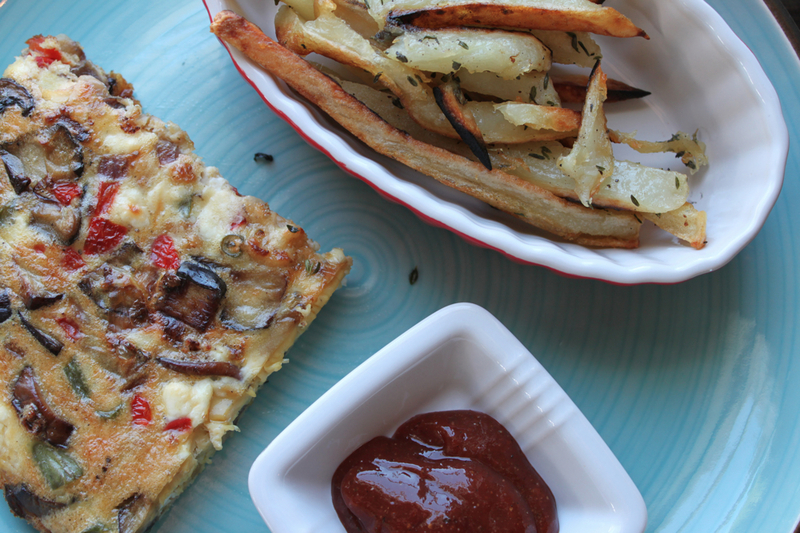 Spread out on a baking sheet, I roasted the fries at 400 degrees F for 30-40 minutes, flipping half way. 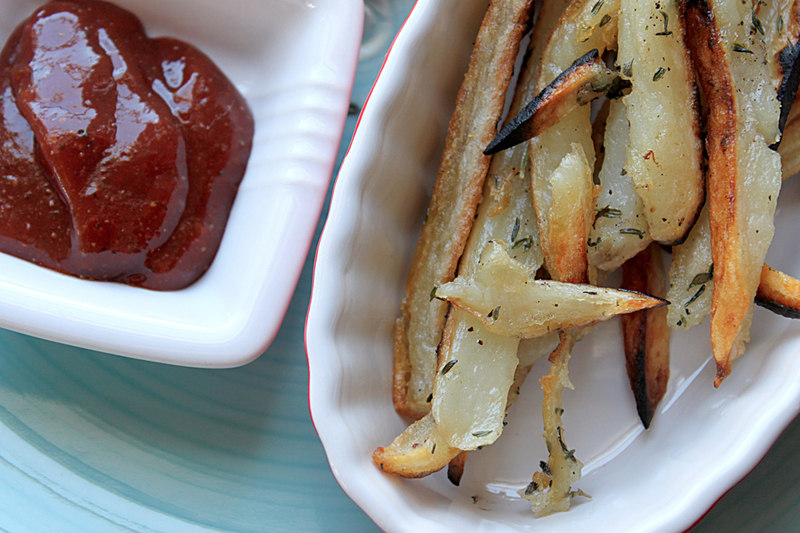 We dipped our crisp fries in peppered ketchup. This was one of the best thrown together meals we’ve had in a while. The feta cheese was a nice surprise but the best part was that we managed to eat all of our vegetables!